BJ Blues Folk Blues Harmonica in the key of "G"
BJ Blues Folk Blues Harmonica Key of "G" Plasitic protection box included A great value for money 10 hole diatonic. The BJ blues harmonica has Plastic body/comb. Available in various keys. BJ Blues Folk Blues Harmonica in the key of "F"
BJ Blues Folk Blues Harmonica Key of "F" Plasitic protection box included A great value for money 10 hole diatonic. The BJ blues harmonica has Plastic body/comb. Available in various keys. BJ Blues Folk Blues Harmonica in the key of "E"
BJ Blues Folk Blues Harmonica Key of "E" Plasitic protection box included A great value for money 10 hole diatonic. 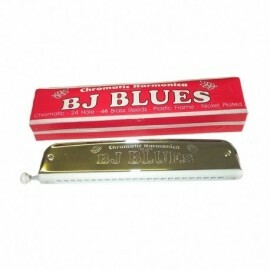 The BJ blues harmonica has Plastic body/comb. Available in various keys. BJ Blues Folk Blues Harmonica in the key of "D"
BJ Blues Folk Blues Harmonica Key of "D" Plasitic protection box included A great value for money 10 hole diatonic. The BJ blues harmonica has Plastic body/comb. Available in various keys. BJ Blues Folk Blues Harmonica in the key of "C"
BJ Blues Folk Blues Harmonica Key of "C" Plasitic protection box included A great value for money 10 hole diatonic. The BJ blues harmonica has Plastic body/comb. Available in various keys. BJ Blues Folk Blues Harmonica in the key of "Bb"
BJ Blues Folk Blues Harmonica Key of "B" Plasitic protection box included A great value for money 10 hole diatonic. The BJ blues harmonica has Plastic body/comb. Available in various keys. 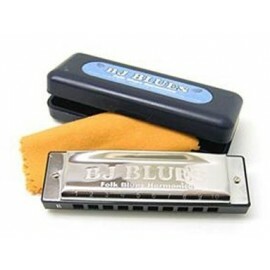 BJ Blues Folk Blues Harmonica in the key of "A"
BJ Blues Folk Blues Harmonica Key of "A" Plastic protection box included A great value for money 10 hole diatonic. The BJ blues harmonica has Plastic body/comb. Available in various keys. BJ Blues Folk Blues Chromatic Harmonica in the key of "C"